Most mattresses work well on any solid and flat surface - be it slatted bases, box springs, foundations, and even the floor. Placing a mattress on the floor, however, has proven to be trickier for some. After all, floors are pretty filthy surfaces that can be home to creepy crawlies and bacteria brought in to your lovely living space. Theoretically, placing a mattress on the floor has many benefits. It assures spinal alignment that keeps you free from neck and back pain. This same floor and mattress support can result in an improved blood flow as it can circulate without obstructions at any point. Sleeping with your mattress on the floor also helps you sleep cool. Remember that hot air rises and cold air sinks - sleepers on the floor enjoy the benefits of getting cooler air being closer to the ground than if they were in a raised platform. For those of us who live in cooler temperatures, leaving your mattress on the floor can also make it absorb its coolness. If all is well and good, what seems to be the problem with your floor mattress? The main area of concern here is the potential growth of mould, bacteria and bed bug infestation. These, however, won’t grow out of nowhere - they need an environment that will cultivate them. Often, it’s an environment toxic enough to ruin your mattress and even cause health problems. What does it take to ruin a good mattress? It only takes three main components for mould to grow: the environment it is in, the type of mattress, and the type of flooring it is put on. Mould is a fungus that grows in moist/wet surfaces that don’t receive adequate airflow. They grow by producing tiny particles called mould spores that float and travel in the air. When inhaled, these can cause complications for people with allergies and asthma. The climate and weather of your geographical location have a big impact on the likelihood of mould growth. Humid climates, more particularly in Asian countries, are tantamount to more moisture, and hence paves the way for breeding mould. Your mattress' materials also play a part in mould infestation. Memory foam mattresses are made of viscoelastic material that respond to body heat. In humidity, your foam mattress on the floor can absorb and retain moisture from your sweat without sunlight to dry it. Talk about a solid breeding ground for mould - yuck! Heat retention is the reason why some memory foam mattresses are equipped with cooling mechanisms to combat sleeping hot. So be sure to look for terms such as gel memory foam, ventilation system, and open-cell foam when purchasing one. Related Article: What’s the best cooling mattress for me? In the end, no mattress type can escape from the power of moulds as long as the environment can sustain it. Even innerspring mattresses and latex mattresses can retain some moisture and therefore create a conducive site for growing mould, too. Watch out for dirty and/or damp floors. Old hardwood floors, for instance, can have years’ worth of bacteria growing in them. Carpets left wet or dampened can be a breeding ground for mould. Once mould grows, there’s no going back. It can spread like wildfire, and because your mattress is already in closer contact with a mould host, you can only do so much until it gets completely ruined. The truth of the matter is if you satisfy two or all of these conditions, prepare yourself for a battle against mould. How do you avoid mould growth? Air your mattress out frequently. Four times a year should be a safe number to take your mattress out in the sun. 3-4 hours usually does the trick. Make sure you pick a day with good weather - one that has a zero per cent chance of rainfall! Whilst you air your mattress out, clean the floor underneath it, as well as its surroundings. Again, make sure to dry the surface really well if you don’t want your cleaning efforts to go to waste. Invest in a breathable bed frame. Box springs and slatted bases often are the best for breathability. Besides being able to breathe, you also save your mattress from being in contact with the dirty floor. Alternatively, you can purchase a mattress with a waterproof and anti-dust-mite cover so the chances of moisture seeping down the mattress greatly decrease. Protect your mattress by placing a DIY thin layer of foam or cardboard for added insulation during cold times. Do this if you want to avoid the additional cost of buying a new bed frame or mattress (as explained in #3). Lessen the humidity by cost-effectively using a fan, or even by splurging a bit more for a dehumidifier! These can decrease your chances of sweating at night so your mattress absorbs less moisture. Less moisture = fewer chances of mould growth. 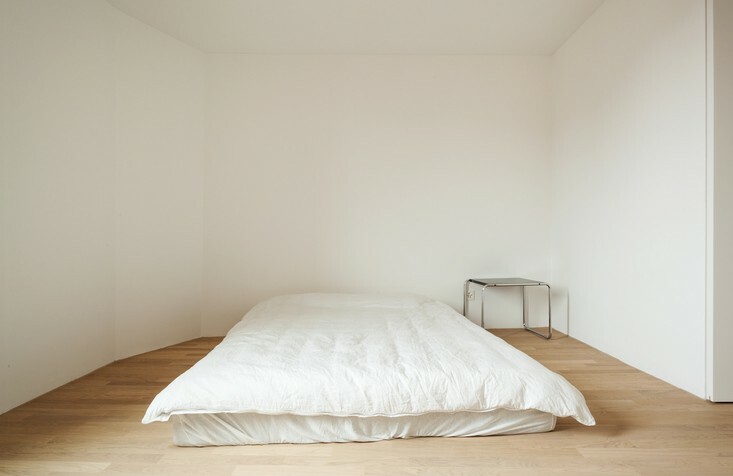 So, Should You Put Your Mattress On the Floor? Based on the three components - environment, mattress type, and floor material/hygiene - you can come to your own decision. This article simply tells you that all these conditions together place your mattress at a risk of being ruined. But give them the right amount of tender, love and care? Your mattress won’t just be mould-free, but it will give you your best sleep ever.